What should VS and SI mean to you? I love diamonds and diamond clarity is an important aspect. What I don’t love are diamond industry practices that lead consumers into making poor purchasing decisions. I am writing this guide to help you feel more informed about diamond clarity and to empower you into feeling more confident about your diamond purchasing judgement. As always, if you need one-to-one advice just CONTACT ME and I’d be happy to help. 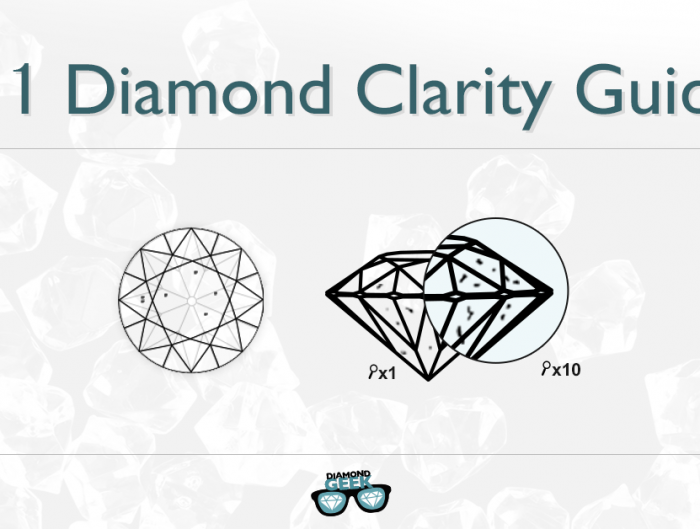 Diamonds are rated on their 4 C’s – Cut, Carat, Color and of course Clarity. 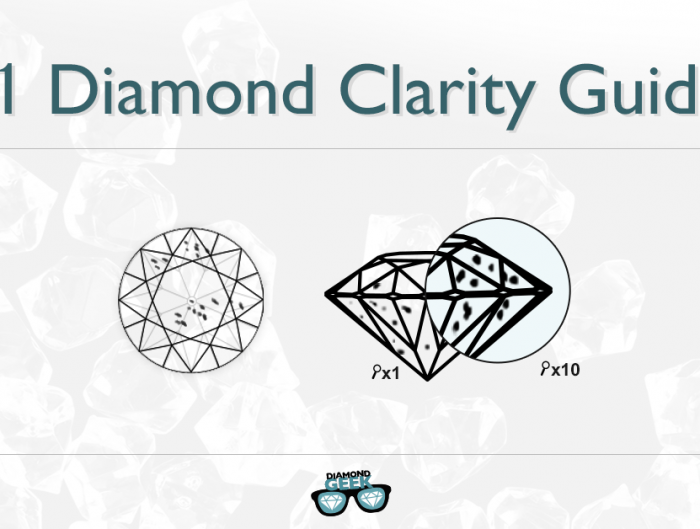 Clarity is a crucial factor in diamond valuation, particularly in natural/white diamonds. The GIA breaks down Clarity grading into 11 grades of variable quality. The most popular grades are VS1, VS2, SI1 and SI2. Their popularity is due to the price points and their being mostly “eye clean”, meaning that any imperfections are only revealed with an expert eye and the magnification of a microscope. With that in mind, in this guide I’m going to focus on these four grade. Let’s begin with the two key differences between them – that of PRICE and VISUALS. The topic of price is quite simple and straight-forward. Diamonds are priced according to the Rapaport price list– an international trade diamond report for polished diamonds based on the 4 C’s. It is widely used by both wholesalers and retailers to standardize and verify diamond prices. If you were hoping to take a look at the Rapaport price list, think again. It would be difficult for you the consumer to get your hands on the report, but just knowing about it will assist you to find the right price for the diamond you seek. Things are a lot more complicated when it comes to matters of the eye. 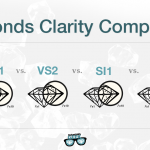 Determining differences between the VS1, VS2, SI1 and SI2 grades is almost impossible for people who don’t have professional training in diamond assessment. In fact, even the professionals will often disagree with grades. This is quite an important point because it is the grades that play a massive role in the final price of the stone, so for example an SI2 clarity diamond is much cheaper than one with SI1 clarity, when the other 3 C’s are equal. Let’s take a closer look at the four Clarity grades that we’re focused on. VS or Very Slightly included, are grades awarded to diamonds with small imperfections. They are further divided into VS1 and VS2 grades. 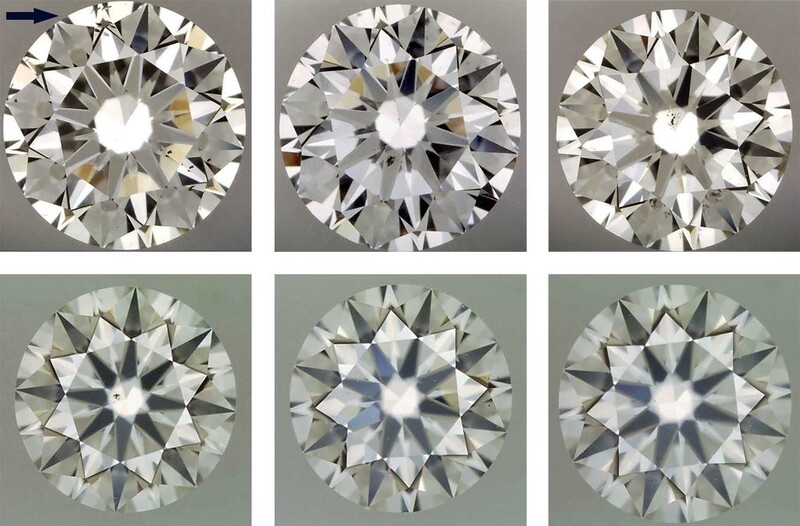 SI or Slightly Included are grades awarded to diamonds with several small inclusions that are easily detected when viewed under a 10x microscope. Without magnification the flaws will rarely be noticeable with the naked eye. Want to buy the Best Diamond for your Money? Click HERE and find the best Diamonds on the market! These examples are graded as VS1 yet they show no visible inclusions. Not even when magnified to 40x. The diamond on the left has a small dark flaw right in the center. The middle diamond has a very small flaw at the 6:30 o’clock position. The diamond on the right has no visible flaws. Varying degrees of inclusions in the selection below. 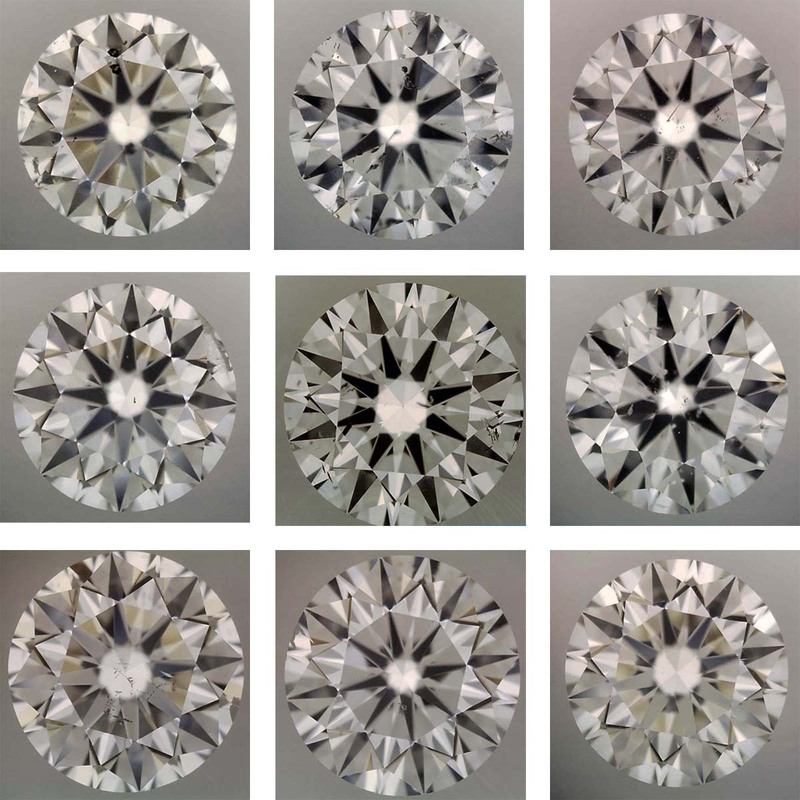 The top left diamond has the most flaws while the bottom right diamond is the best looking of the six. 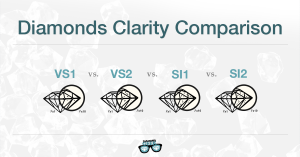 An SI1 diamond can look just as good as VS clarity diamonds – if you choose correctly. We have nine SI2 diamonds below. As you can see, the visual flaws can look quite bad while others still look really great. Yet the all have the same grade. This is exactly what you need to be taking advantage of. Show some patience and you can definitely benefit from finding an SI2 diamond that looks amazing and doesn’t break the bank. You get the idea. It’s not easy. Before you buy your diamond, at the very least you’re going to want to look at it through a 10x loupe. Physical diamond stores will let you look through a loupe or a microscope, if you ask. Use our descriptions above to try and judge whether the grade is a match or, even better, if the grade is underselling the value of the diamond. The other option is purchasing online. Most reputable online shops will be able to provide real photos at a 20x-40x magnification. If you can’t see at least 20x magnification I would advise not making the purchase. 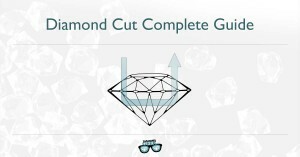 This tip becomes even more important when purchasing a diamond with a grade lower than VS2. In this case the ability to view a high quality magnified photo of the diamond becomes twice as important in order to determine the best diamond for your budget. Inclusions will most directly affect diamonds with step cuts, such as emerald and ascher, as these cuts provide a beautiful mirror-like appearance that highlights any visible flaws. Brilliant cut diamonds tend to hide these inclusions within the facet and sparkle of the diamond. For that reason, I would strongly advise only using VS grades for step cut diamonds. Finally, make sure you always purchase diamonds that are certified. This guarantees the grade and ensures that you are not being ripped off. 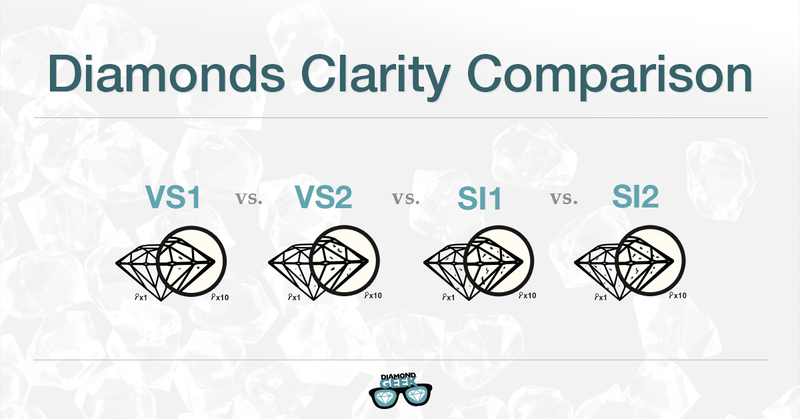 There is every reason in the world to focus your diamond interests on VS1, VS2, SI1 and SI2 clarity diamonds. Most of them will look flawless to the eye and will cost you a fraction of what a truly flawless diamond would cost. Don’t let a salesman convince you that a tiny flaw is something to be ashamed about because that same salesman probably needs a microscope to even notice the difference in the first place. Do you attend a lot of parties with people walking around with microscopes? I doubt it. For those who have the budget to get the best clarity, the VS range will have plenty of excellent choices to suit all but the highest of standards. For the same budget the SI range allows you to take on some small imperfections but improve upon the carat weight, cut and/or color grade. 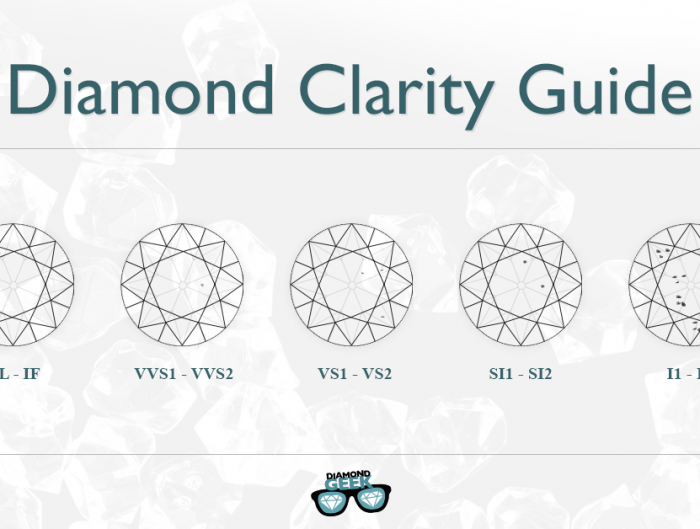 When purchasing a VS or SI diamond, you should use your own eyes to determine whether the inclusions are acceptable for its grade. This is a skill that will take inexperienced buyers some time to develop, but the persistence will be worth it. Use what you have learned in this article and you’ll be making great diamond purchases like a pro. Or go ahead and ask what I think. It would be a pleasure to help you make the perfect diamond purchase. I am looking at a ring online that has a number of roughly .03 ct. diamonds around a colored stone. It says the diamonds are SI1. Do you think the SI1 clarity is good enough for lots of sparkle, or is it better to get VS clarity for the small diamonds around the central stone. Also, this ring is from China. Are they reputable in how they describe the clarity of their stones? Thank you. i will start from the second part…it really depends on the vendor. So many things today are made in China these days, as well as high end brands. I would advice you to look for reviews of the vendor you wish to buy from, that will be the best thing. About the diamonds around the colored stone, SI1 is a great choice and a VS clarity will not make a difference in regards to the sparkle. The thing that will make the difference is the Cut quality of the diamonds, especially in such small size diamonds. Hello so I would like your opinion on the particular decision I have to make. Also its important to decide what is most important for you, do you prefer larger diamond? or maybe a cleaner one? Do you have any experience and tips on purchasing diamonds from Blue Nile? I recognize the importance of viewing a diamond before purchasing it, and appreciate the zoom photography offered by James Allen. But I’m finding VS2 H diamonds on Blue Nile to be the same price as SI1 H diamonds on James Allen. With that being the case, it seems that I would be better off purchasing from Blue Nile with my worst outcome being paying $50 to return the diamond if I’m not satisfied. Any comment would be appreciated. I just checked what you said and i am surprised to see these differences. You do have a point, but it is hard to judge a diamond without looking at it. Here is my suggestion: choose 2 or 3 diamonds you like from Bluenile and contact them. Try to see if there is a chance to solve this issue by getting pictures or a descriptions of these diamonds. I wasn’t aware until today about this difference in prices between these 2 sites and i wonder whats the reason. Is it a price competition?, or that Bluenile offers VS2 clarity diamonds that looks not as good as James Allen does. Thank you for this! I just recently got my ring appraised and the color and cut as well as clarity was great until now I didn’t know how great! I have a question where I could us some help. I’m buying a ring from a store that’s in a different city that I am. It’s a very reputable dealer and I have the option to return the ring if I don’t like it. The ring has a single diamond that is a pear shape and it’s a “vintage” diamond that dealer thinks was cut in the 1950s. The store specializes in vintage diamonds in both modern and antique settings. This diamond is GIA certified, 1.27c, rated E color, SI2, good symmetry and polish. The GIA cert says the flaws include a feather, a twining wisp, and a chip. The dealer says that none of the flaws are visible at all to the naked eye from the front of the stone. From the back he says you can see the twining wisp with the naked eye, but you can’t see that on the mounted stone. In other words he says it an exceptionally clean SI2 from the front of the stone. I’m worried about 2 things. I haven’t heard much about how a chip affects the price of diamond so I’d love an opinion about that. I assume it’s not visible given what he’s said. Also, the ring is quite expensive given these parameters (approx 11K). I think there is premium b/c of the vendor and b/c a value is placed on the uniqueness of nice vintage diamond. I guess the second question is tricky since it’s a matter of opinion but I’d love some confirmation that this isn’t completely unreasonable given what I’ve described. Thanks so much! About the diamond – It is really hard to answer without seeing it. The owner can be 100% correct and can be 50% correct, meaning you will notice the flaw/s. Only when you see it you will know for sure. Important to know is that most SI2 clarity diamonds that are graded by GIA are good looking SI2’s. The only thing I can say for sure is that you will have to see it in your own eyes or ask the vendor to try and photograph it to make your life easier. About vintage jewellery – Since it is a unique one-time piece (you can not find it anywhere else, or custom made a new one) , the price is set according to the profit the vendor wants to make. He could have bought it for $2000 or $8000. The only thing you can do is research the estimated price at other vendors and try to negotiate the price with him/her. I don’t see a reason why not negotiate if he is open for it, or just tell him you thought about and it is above your budget…that might open a negotiation talk. Bottom line, since it is unique, it has its own “Value”. what should you expect to pay as an upcharge between si1, si2, vs2 and vs1? If a 2 ctw diamond ring is identical and the the si2 is $5,000 what would I expect the difference to be for the exact same rind at the other clarities? I am missing valuable info here: is there a centre stone for the ring or are the diamonds just melees? Please try to get all the info, but even then it will be only an estimate of price difference since there are more variables like color and cut. I’m going back and forth between two diamonds and would like your opinion. The first one is 1 carat, g color, and SI1 clarity. The second one is 1.05 carats, f color, and SI2 clarity. I read your article but am not sure if I should go for the higher color grade or the better clarity. I don’t really care about flaws that you can ONLY see under a microscope. The diamonds are both round and will be placed in a white gold setting. I really care most about the diamond’s sparkle and it’s ability to catch people’s eye. Which diamond would you suggest? Between these two i really think you can find great looking SI2 diamonds, but you have to see them in person or see a real picture of the diamond. Websites like JamesAllen, Brian Gavin and more presenting such pictures. The thing is, reading what you have mentioned, the cut is much more important here and i think you should choose a well-cut diamond over the other factors. G color diamond, that has a nice SI2 clarity grading with at least Very Good cut grading will do the job. Let’s just say everything is the same on both diamonds (including the cut), besides the color and clarity. Would you personally go with the g color, and SI1 clarity; or f color, and SI2 clarity? Personally, i would go with H color SI2 for a Round shaped diamond and G color SI2 clarity for all other shapes. Is there an advantage to purchasing a diamond for an engagement ring from a wholesaler that does custom design (and allows 10x loupe in person) versus purchasing one from an online retailer that allows 20-40x magnification? I visited the wholesaler in person and still wonder if I can get a better deal online through James Allen or the like. However, I do like the personal touch and wonder if custom design at the wholesaler is easier than online. It is a good question, but I need more details to answer it – prices, setting choice and more. In terms of pricing, the main issue is what will be the price difference between those two options. About where to shop – When you choose shopping from a Brick and Mortar store VS. Online, each one has its own advantages. When buying from a store (wholesaler in this case), you get to see the ring before you are actually buying and you have the personal touch. On the other hand, when buying online, you usually get a better price since the store has less overhead. 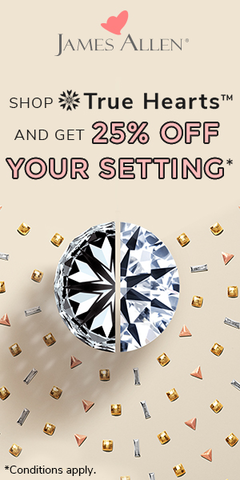 You also usually have a larger inventory of both Diamonds and settings. I think that you first need to check the price difference is and then make a decision. Hi. I was looking for a colored diamond. But I am a bit confused between if to choose a 1 carat diamond with SI1 clarity or 0.7 carat with VS1 clarity. Both are round brilliant cut diamonds. Also, on the other hand if I choose to go for a princess cut diamond which clarity level should I look into? And lastly does the appraisal value play any role in deciding which one to buy? Thanks. Waiting for your expert advise. It is really hard to answer, since i need more info and a diamond photo to determine which one to recommend on. A good looking SI1 diamond can definitely look clean even with a x10 magnifying loupe. That is in general. About fancy color diamonds in general, unless the diamond is at least graded as Fancy intense, i wouldn’t recommend going for a round diamond – round shaped diamonds, are more aimed to show brightness and less color. So the real question here is personal taste and budget. 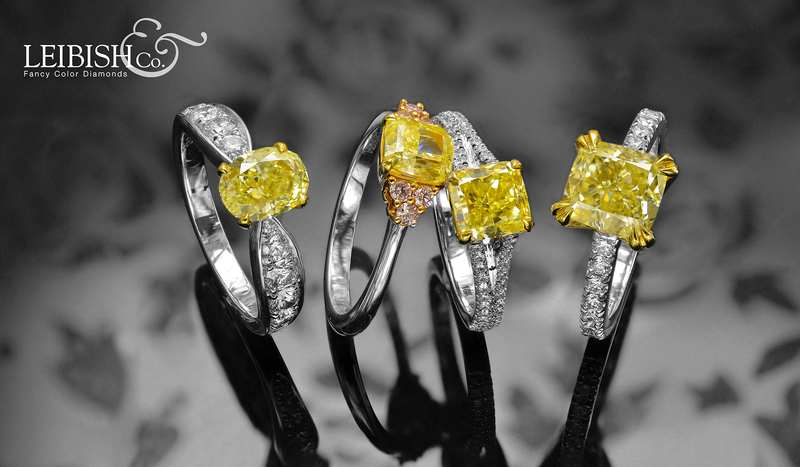 Personally i think Cushion, Radiant, Oval and Pear shapes are best looking in the case of fancy color diamonds. About the appraisal, i dont think it will be a good judge in terms of clarity, if going with SI1, trust your eyes!